Before I start talking about day 5, let me tell you that it’s gonna be a very loooooong day. So sit tight with me and we vrooom together okay? 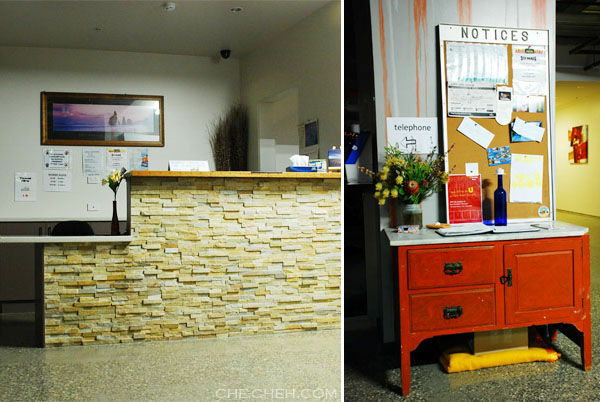 Let me bring you in and about Port Campbell Hostel, the accommodation that we stayed at after our Twelve Apostles adventure. 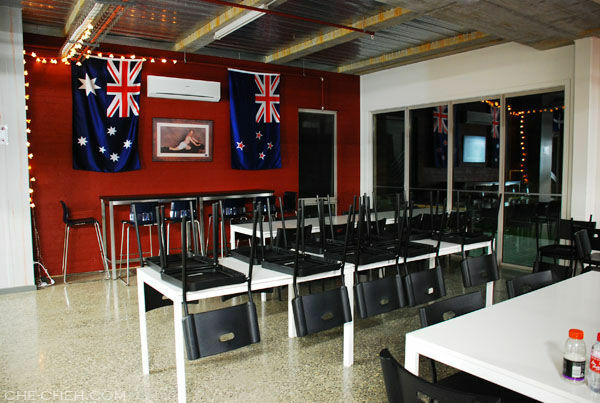 Again Tripadvisor was my inspiration for finding Port Campbell Hostel. 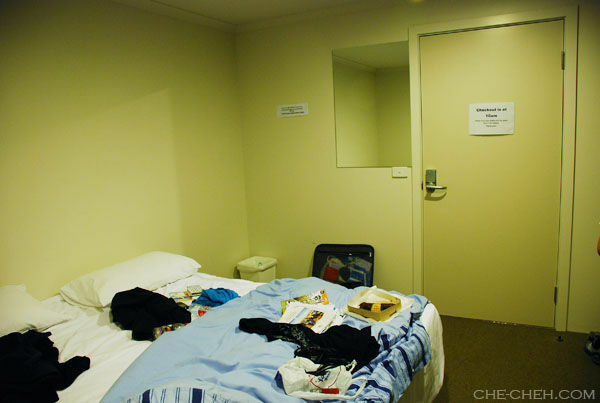 The double room cost AU$70.00. No breakfast, shared bathroom, free car park, a bbq area, large dining and lounge area and lastly they have a very awesome kitchen! 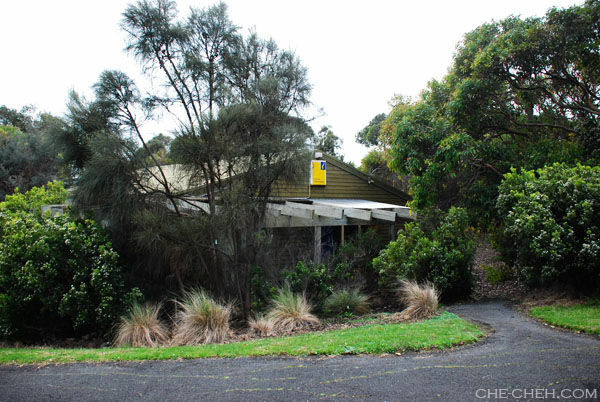 Port Campbell Hostel @ Tregea Street, Port Campbell. 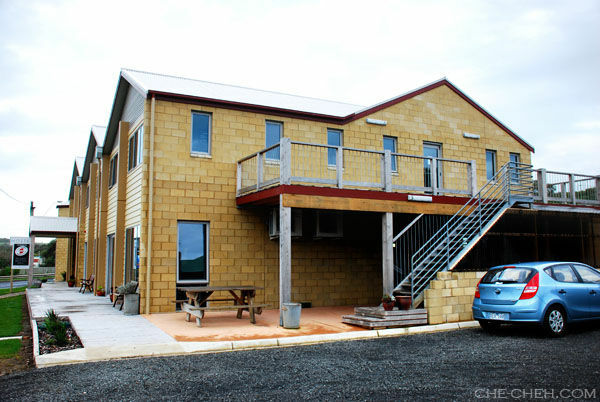 This hostel is owned by Port Campbell Surf Life Saving Club. I love love love this building. The place is clean, big and orderly and its location is the best. 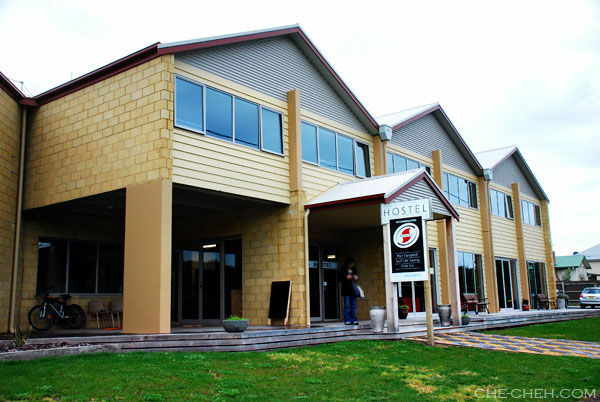 Fyi Port Campbell Hostel is a brand new accommodation. It only opened its door circa end 2009. 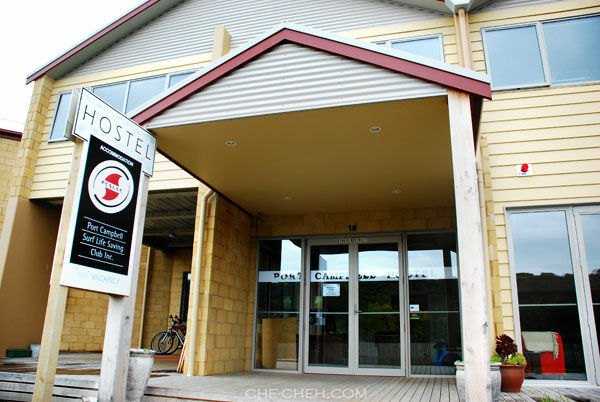 Its previous building was demolished and this new rebuilt hostel is what you see today. Our room is at the first floor. 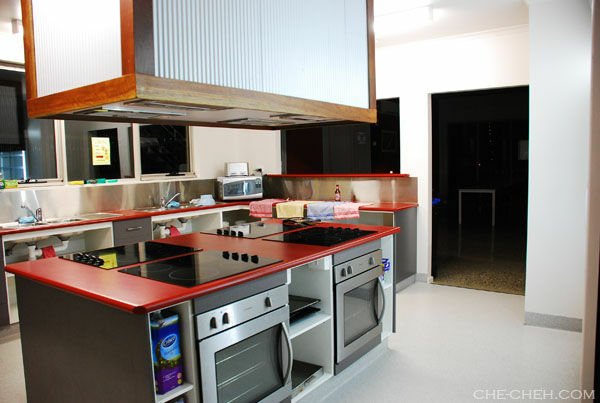 Just beside the stair is the bbq area and in the building beside is the awesome kitchen. And from where I’m standing is the parking area. The reception area and a lovely notice board area. … a double decker. Worth it huh? 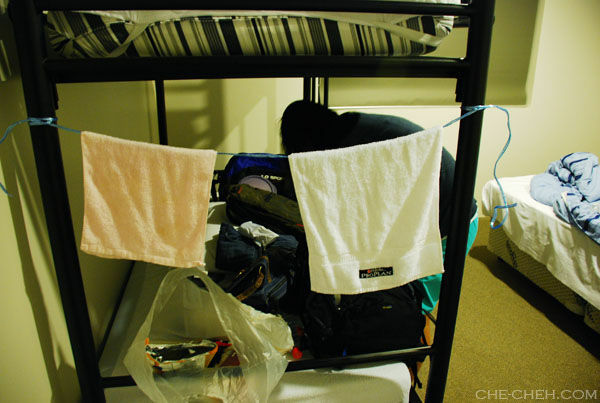 Notice how we hang our towels? yeah I purposely brought the rafia string from home… just in case we need it. Shower (left picture) is directly opposite our room. This shower is quite funny… it doesn’t have brick wall built around it. 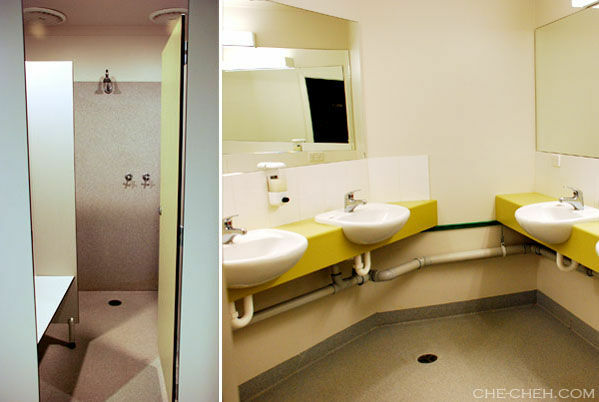 The walls were made of wood (like those Malaysia highway toilet/some supermarkets toilet). The vanity room (right picture) is situated further from our room. This is where we brush our teeth. Hahaha (like you don’t know). And the toilets are between this two rooms. Oh yeah the lights in these rooms will automatically switch off after few minutes. I love the green effort here. 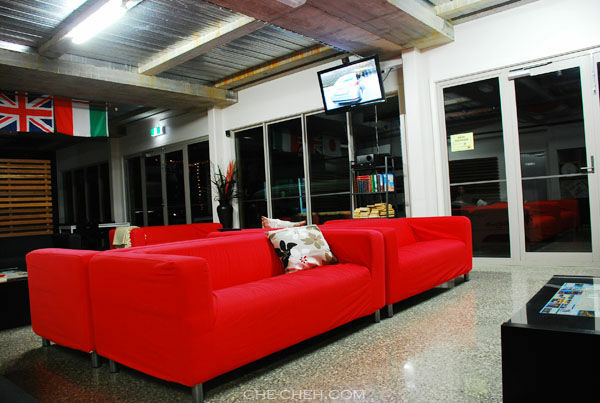 This is the lounge area where you can watch TV and relax. The AWESOME kitchen! This is just a part of it. Another part of the kitchen. 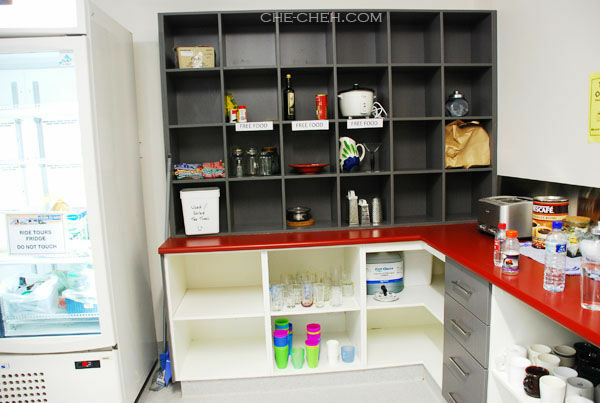 Orderly and clean… what can I say? There’s even a big fridge! Unfortunately we stayed here for only a night. 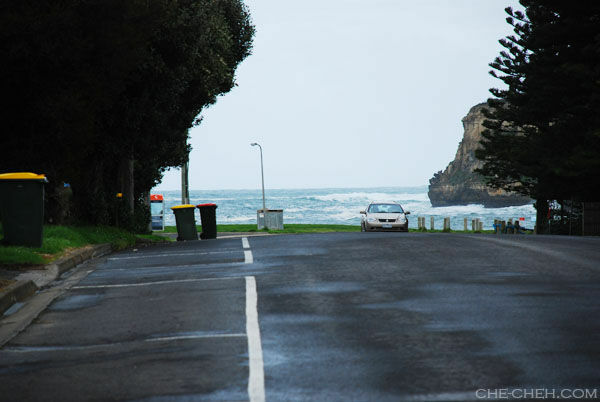 I wished we could stay longer because I really LOVE Port Campbell. And also I wanted to use the kitchen and barbecue some food. 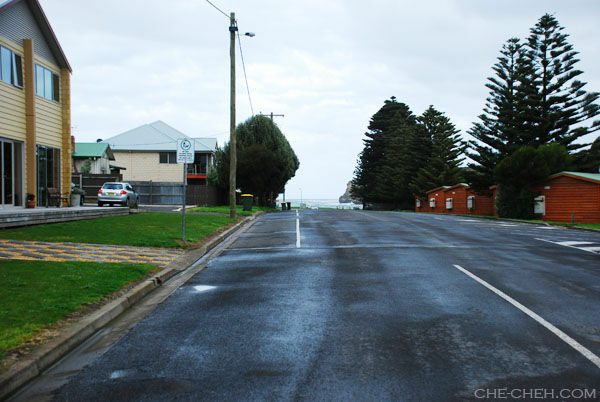 Hehe Fyi, Port Campbell population is about 600 people and I guess that’s what makes it nice. Besides it’s only 12km away from Twelve Apostles (about 12 minutes driving). Initially we plan to wake up before sunrise for the sake of Twelve Apostles but decided not to. Sleeping in is more important. We checked out from the accommodation and were raring to go by 8.30am. Hi beautiful beach, jetty and bay. It was cold and breezy. We’re the only ‘siao’ lady there. But come summer this beach will be populated with beachgoer. 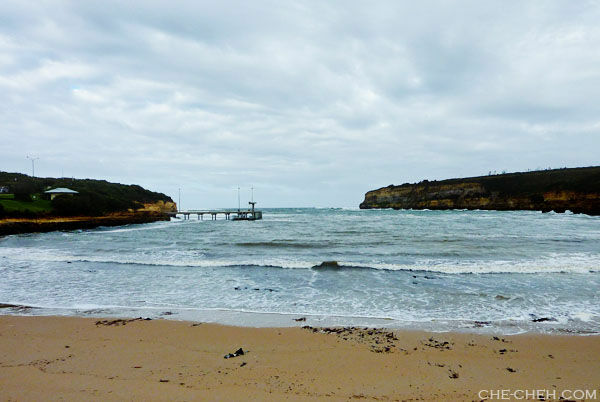 There’s a surf life saving club just beside this beach (they also owned the Port Campbell Hostel). 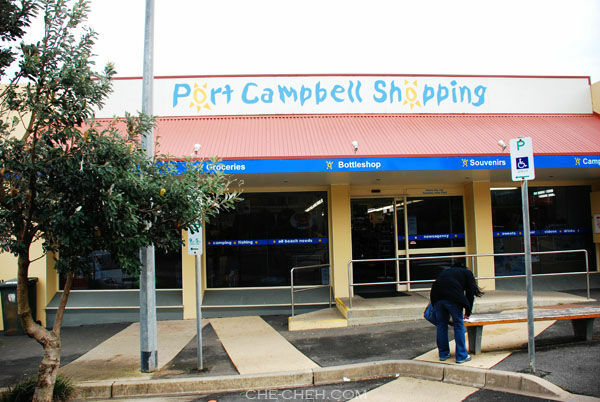 Our next agenda is to visit Port Campbell post office. This is our first visit to the post office in Australia. We sent a couple of postcards and letters home. This has been our ritual since South Korea hmmm… like 7 years ago. 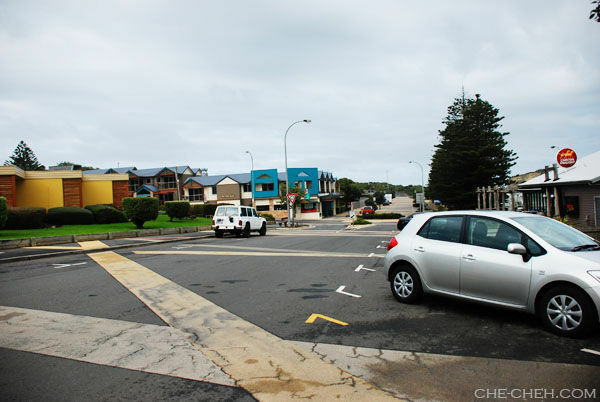 We wanted to stop at each post office along Great Ocean Road actually but unfortunately the day before was a Sunday. This is Port Campbell Shopping. It’s like a convenient shop. Seen here is my sis busy writing mails. 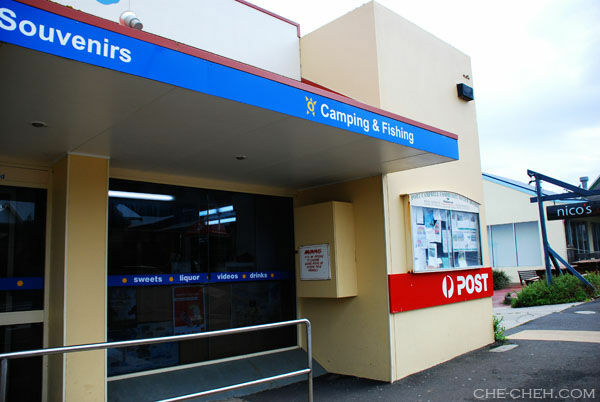 The post office is inside Port Campbell Shopping. Then we had our breakfast at a little bakery called Cafe On Lords just across the post office. Click here to see our breakfast and why I like the bakery so much. Just 2 doors away from the bakery is the Caltex station. That’s where we went after that. Oh yeah he’s right. So nice of him. 🙂 So my sis got the non-premium one. 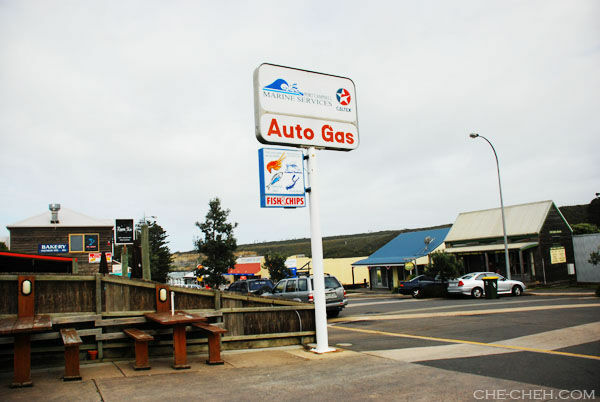 From Hertz (12th September) to Caltex station, Port Campbell (13th September) we have traveled 295.4km. Not far actually but time taken was like WOW. Haha I was really happy with this rented car. 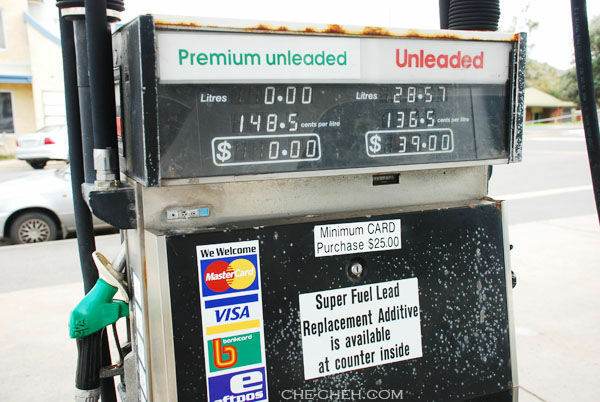 Fuel-saving! This is Lord Street. As you can see there’s not many cars here. Guess it’s the ‘off’ season. 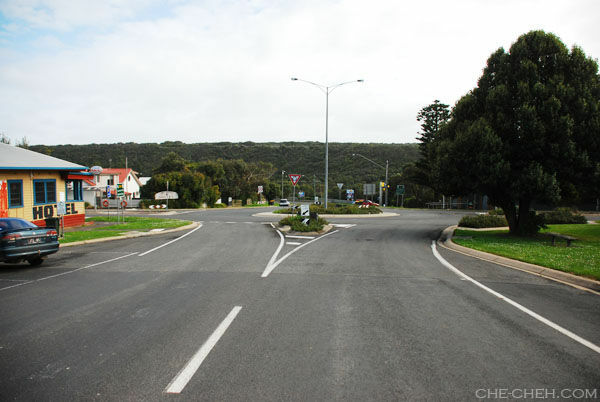 Port Campbell town has a few roundabouts. This is one of them. Notice the ‘hotel’ word on the left building? That’s Port Campbell Hotel (not to be confused with Post Campbell Hostel). This hotel is where we had our dinner the night before. 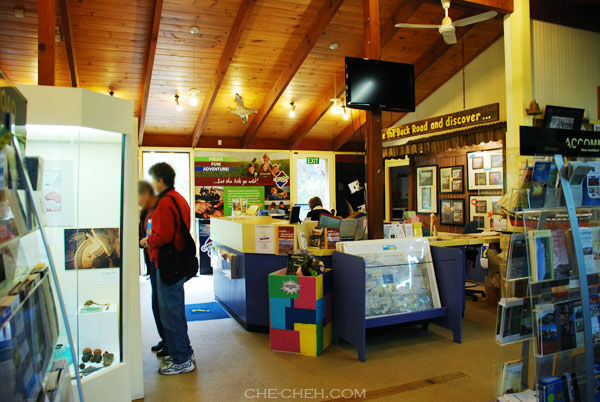 Before coming to this trip we have planned our itinerary to travel back along Great Ocean Road again but because of the long travel time we experienced the day before (total of 10 hours), we decide the shorter way (via Colac Highway) is more favorable. I don’t think I can endure another 10 hours of driving. And therefore we had to give Bells Beach a miss then. Because we didn’t check anything about Colac Highway, we stopped at the Port Campbell Visitor Centre to ask for direction. 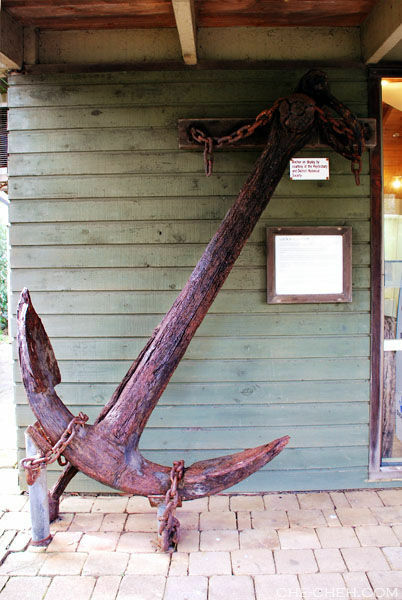 Loch Ard anchor just outside Port Campbell Visitor Centre. The anchor is longer than the door! 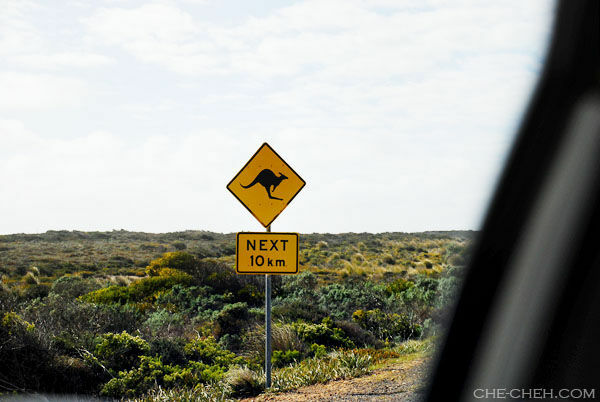 So here we go again… on to the Great Ocean Road! The famous Kangaroo sign. Of course we look out for them but we encounter none on the way. 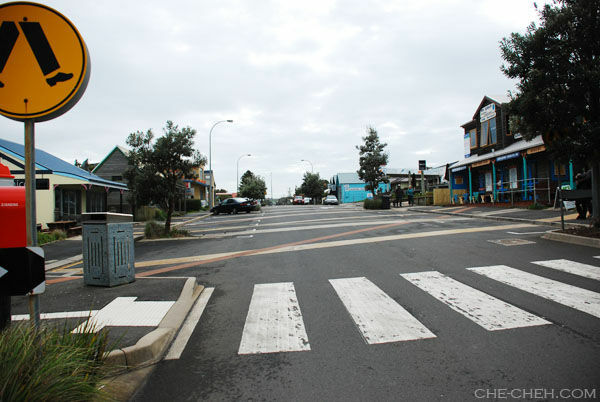 Princetown Road-Colac-Geelong Self-Drive Day 5: Apostle Whey Cheese, Cute Towns, Greeneries & Hello Geelong! Really beautiful photos and nice hostel. Waiting for the next episode! Dawn, hehe ok good to know you’re not bored yet. Nice hostel! I wanna stay there if I go there next time! Oh never thought of bringing rafia strings. Thanks for sharing this idea! LOL! 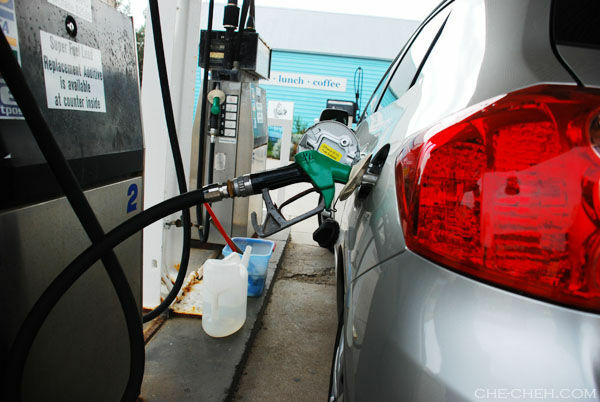 Why did you all want to put premium petrol into a rented car? And I thought those petrol pumps operate the same way all around the world, no? Foongpc, yeah that’s a nice hostel to stay. Stay at most 2 days then can only enjoy it. Hehe my sis was still sleeping I guess. Yeah the pumps operate the same way.